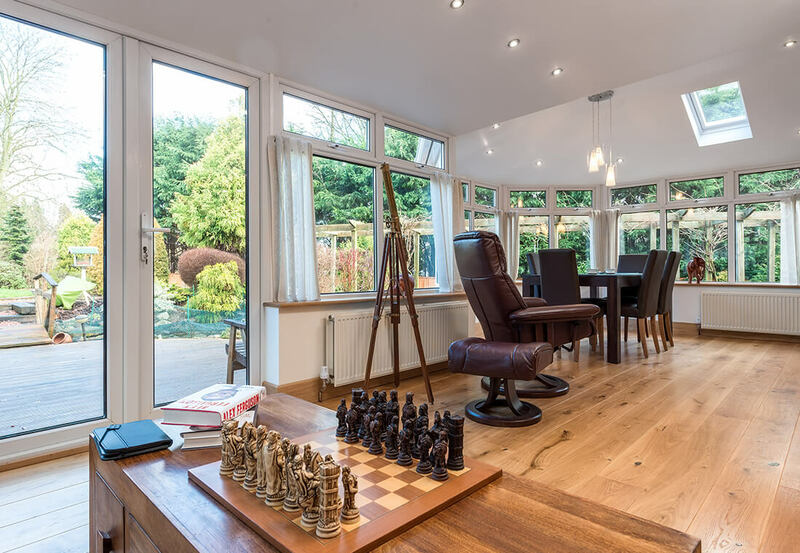 Tough tiled roofs make occasionally used conservatories and extensions a real thing of the past, turning them into such warm and cosy spaces that homeowners want to spend as much time as possible in them! 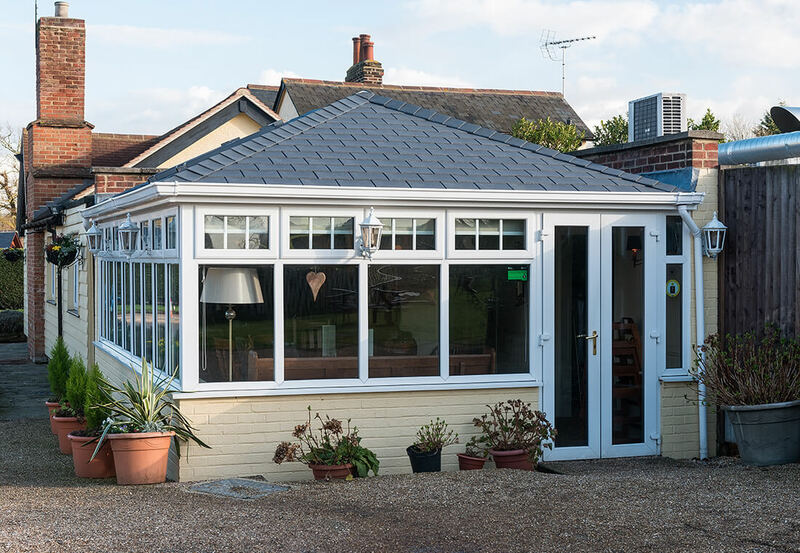 Merging perfectly with your homes existing aesthetics, the Equinox tiled roof effectively revitalises tired conservatories whilst offering the impression of a high-end extension. 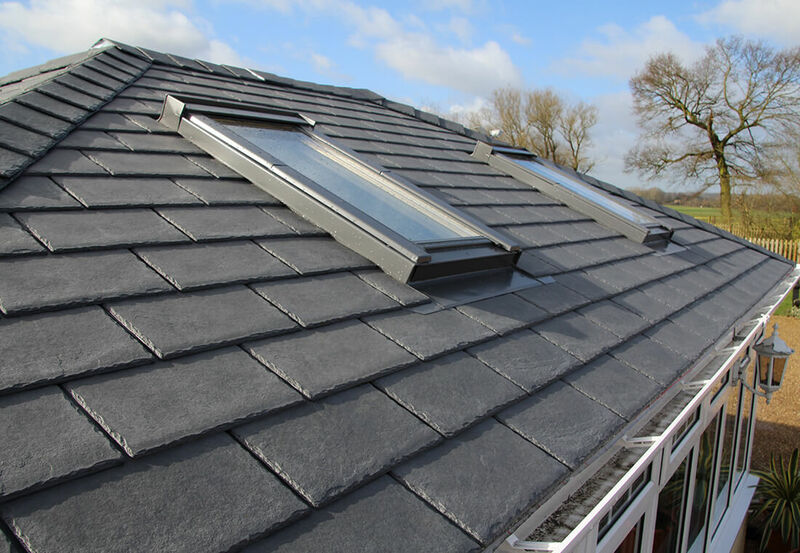 Fully compliant with Building Regulations and consistently tested for essential weatherproofing and watertight qualities, this proactive roofing system effectively reduces glare from the sun and exterior noises, e.g. heavy rain. With a satisfying range of colour-match tile finishes to choose from, you can also decide on which type of tiles you require; standard lightweight steel tiles, hardy composite tiles or authentic GRP sheet slate tiles. 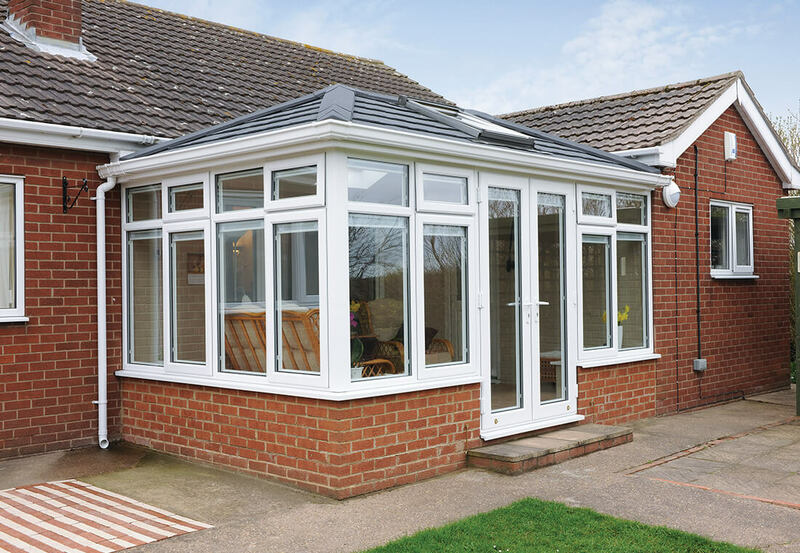 Finished off with a plasterboard or tongue-and-groove interior, the Equinox roof leaves a true lasting legacy. 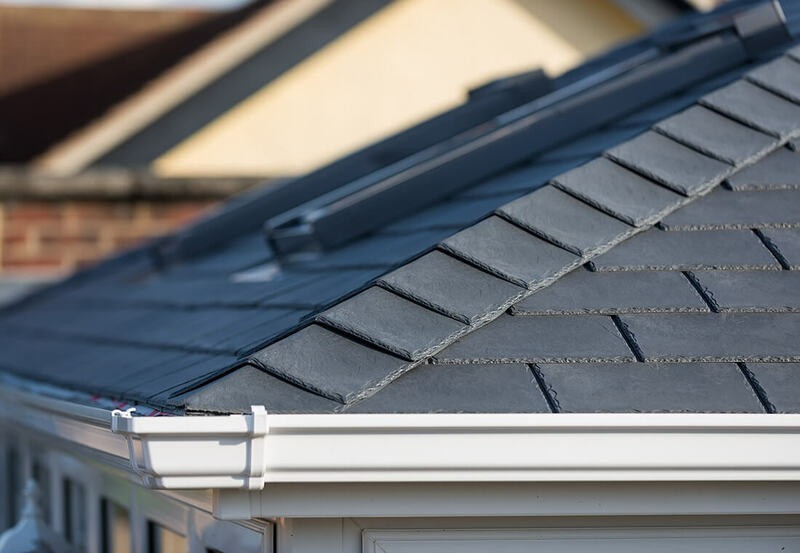 Intelligently blending with any environment they’re applied to, we are dedicated to selling environmentally responsible tiled roofing products. 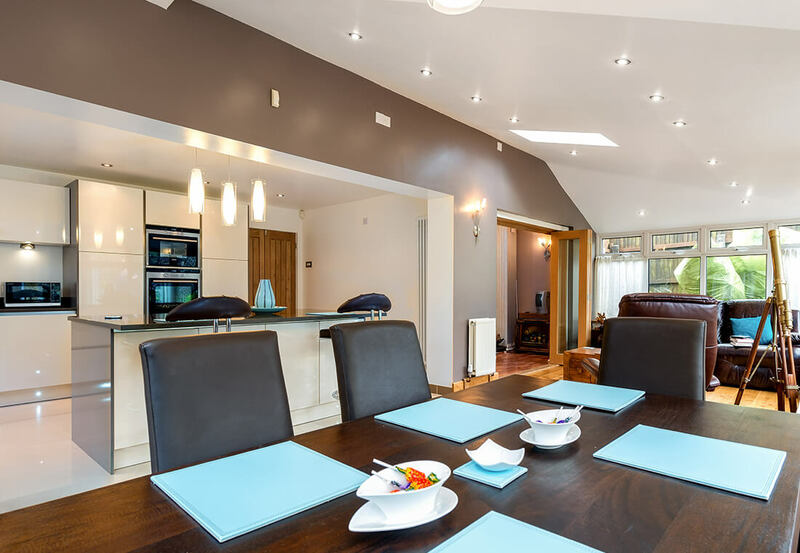 Furthermore, there’s no need to compromise on the amount of light entering your extension space, as the Equinox roof can be fitted with additional roof windows; offering a beautiful, airy environment that doesn’t have the hassle of the harsh summer glare associated with glass roofed conservatories. Condensation is an incredibly common issue within conservatory spaces and homes right across the UK. 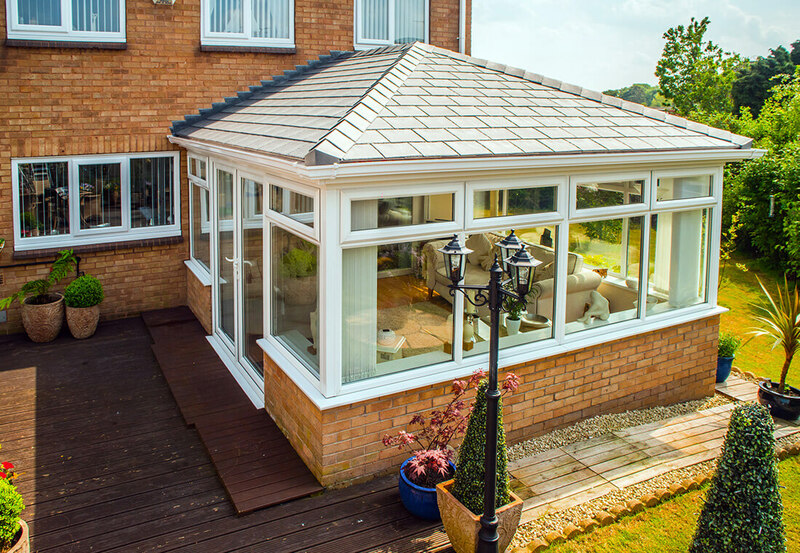 Tiled roofs from Equinox repel any chances of moisture build-up in the roof space, providing homeowners across the West Midlands with essential peace of mind that they never have to concern themselves with condensation or mould issues ever again. Offering enduring quality, tiles can last up to 50. Fully guaranteed to reduce noise and the glare from the sun, this unique tiled roofing system offers 365-day comfort - come rain or shine! 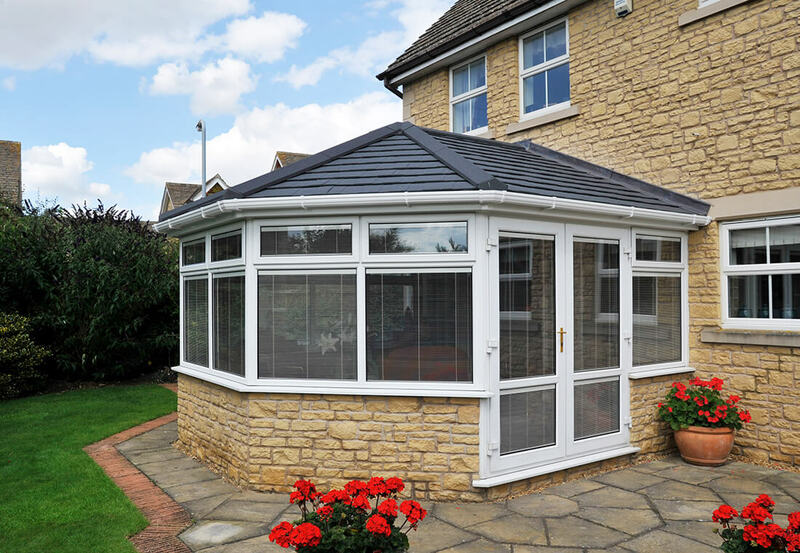 Truly built to last, there are limitless possibilities to what you can do with your conservatory space when an Equinox tiled roof is in place. Imprint your own individual style onto your new tiled roof. We offer a wide range of tiles including our steel tile range as well as our slate look Tapco premium tiles. Unearth a plethora of technical details on our tiled roofing system, by browsing through the following brochures. Before visiting our Walsall showroom, have a browse through our impressive tiled roof installation samples.